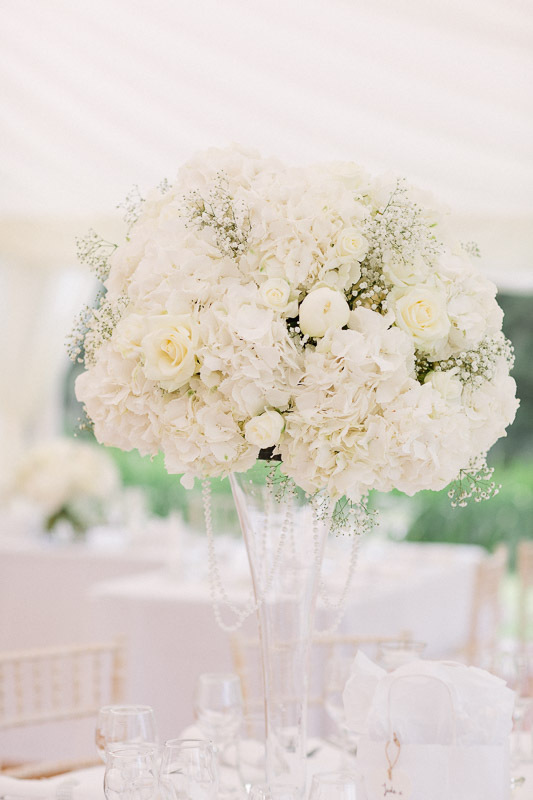 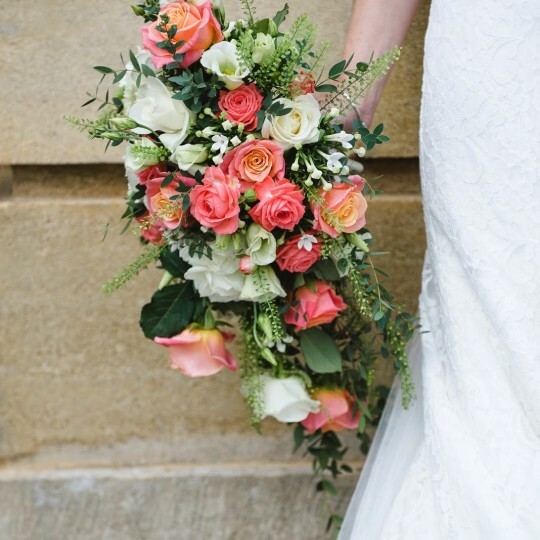 Amy and Joseph's stylish white wedding flowers at Ardington House, Oxfordshire - Joanna Carter Wedding Flowers | Oxford, Oxfordshire, Berkshire, Buckinghamshire and London. 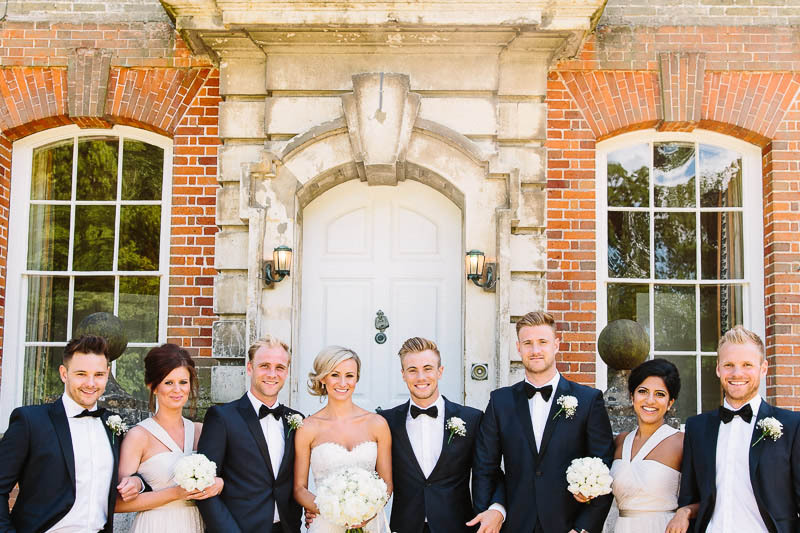 Amy and Joseph’s wedding took place in the elegant setting of Ardington House near Wantage. 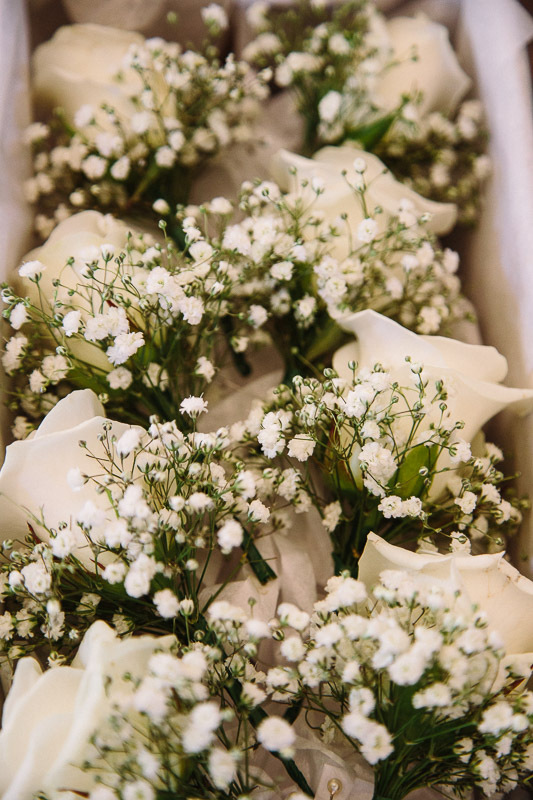 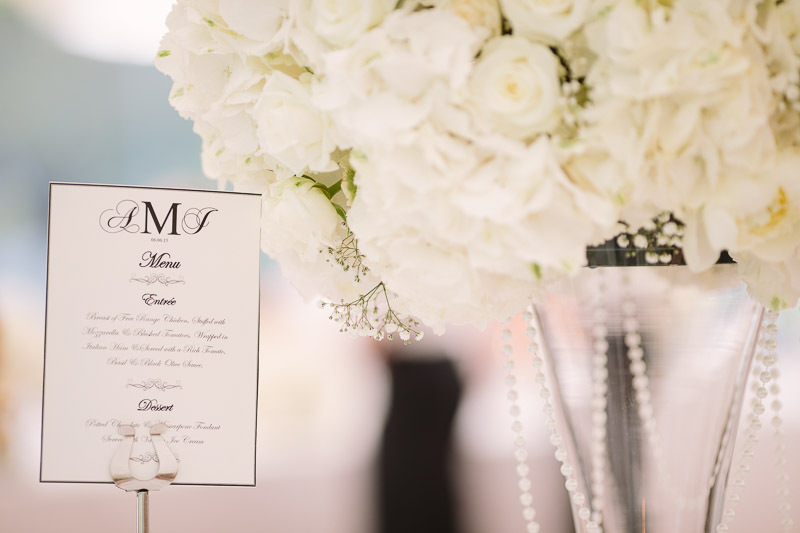 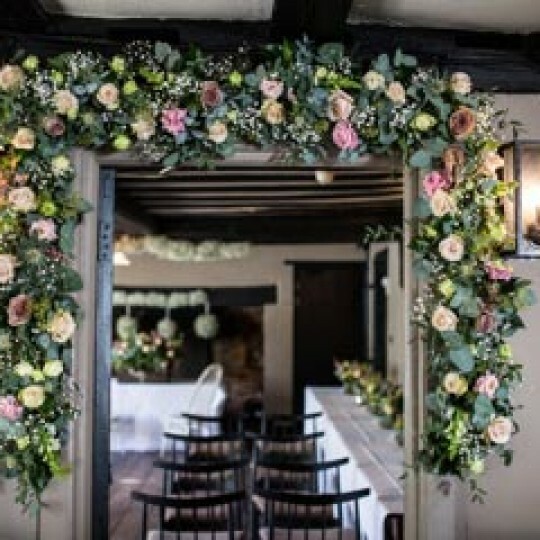 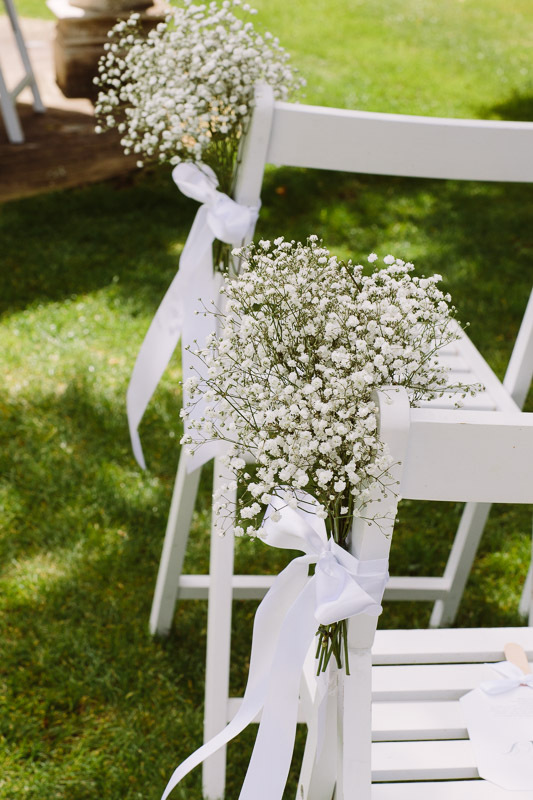 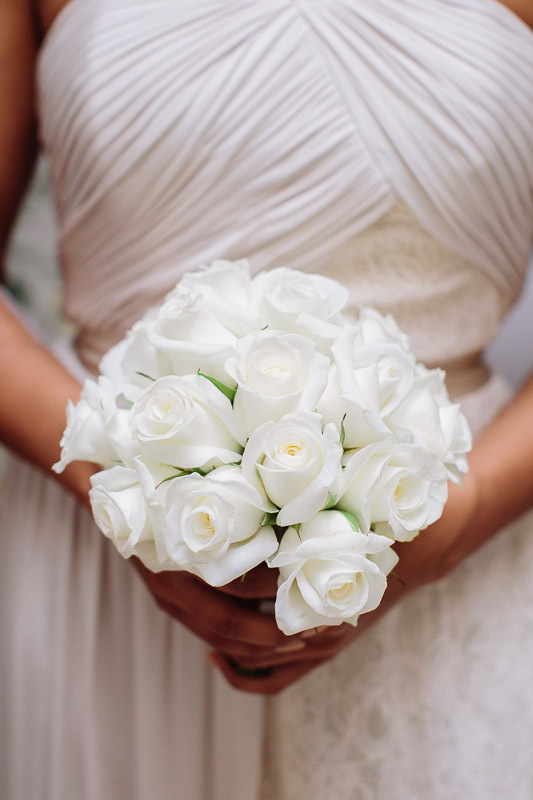 Amy chose classic white flowers and used a simple mix of akito roses, hydrangeas and gypsophila for the bridal work, ceremony and reception flowers. 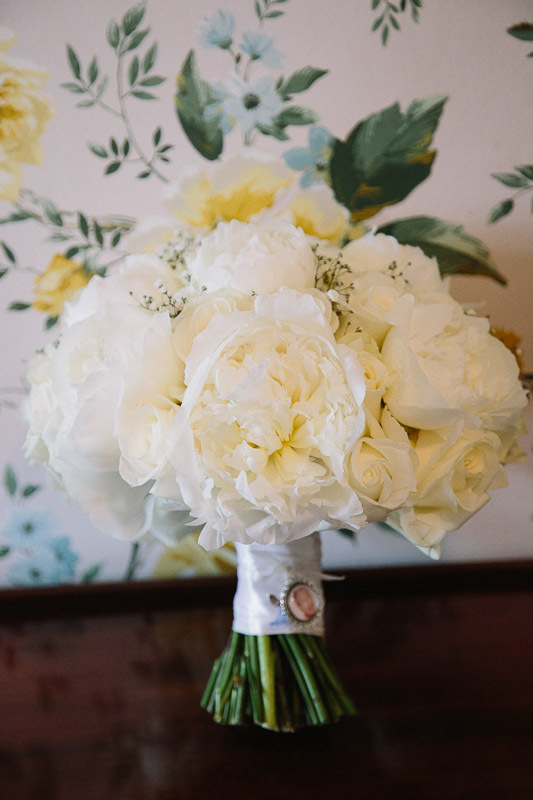 She added some gorgeous white peonies to this mix for her bouquet as she was lucky enough to marry in the middle of peony season. 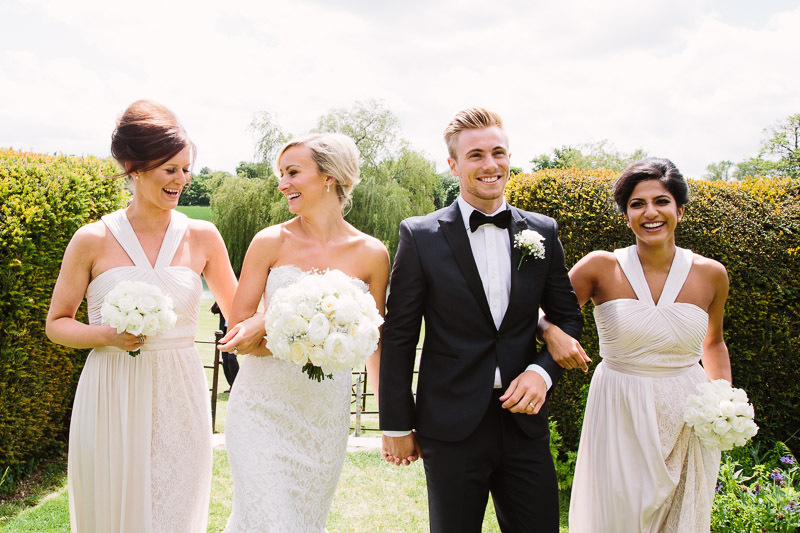 This was one of several weddings that we do each year with Harley and Susie from www.barkerevans.com. 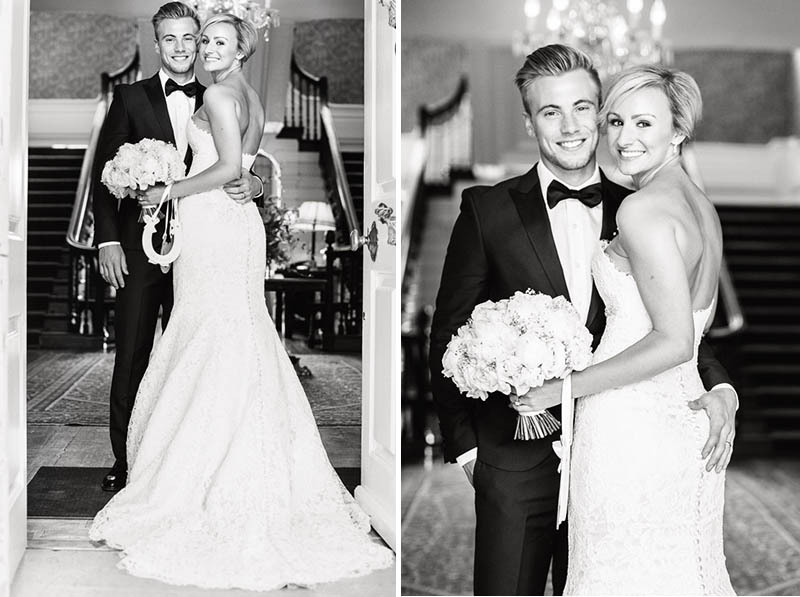 They are truly amazing photographers whose photos always make me smile and are an absolute joy to work with. 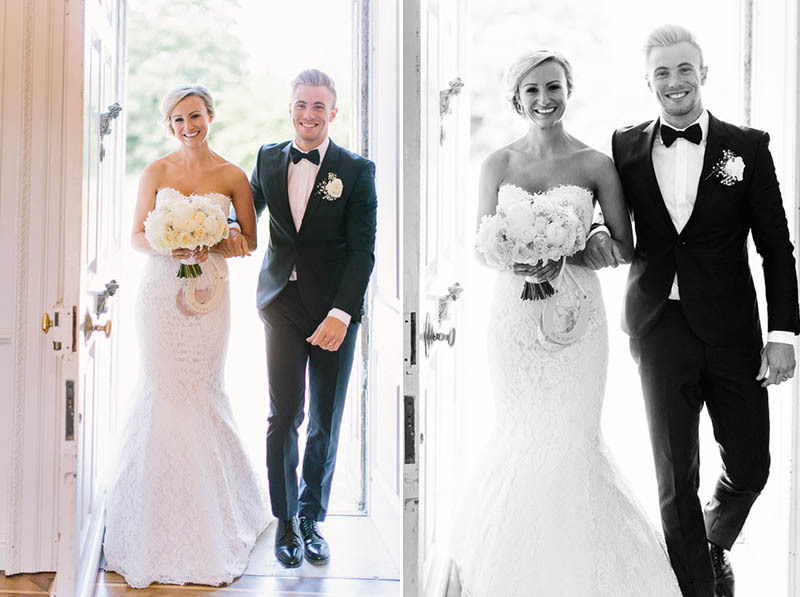 Thank you both for these lovely images. 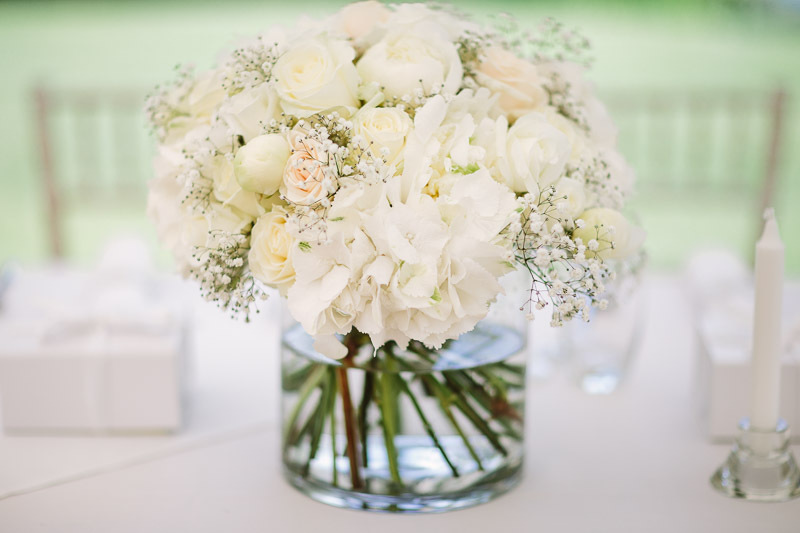 The 3 bridesmaids carried simple but lovely domes of white akito roses . 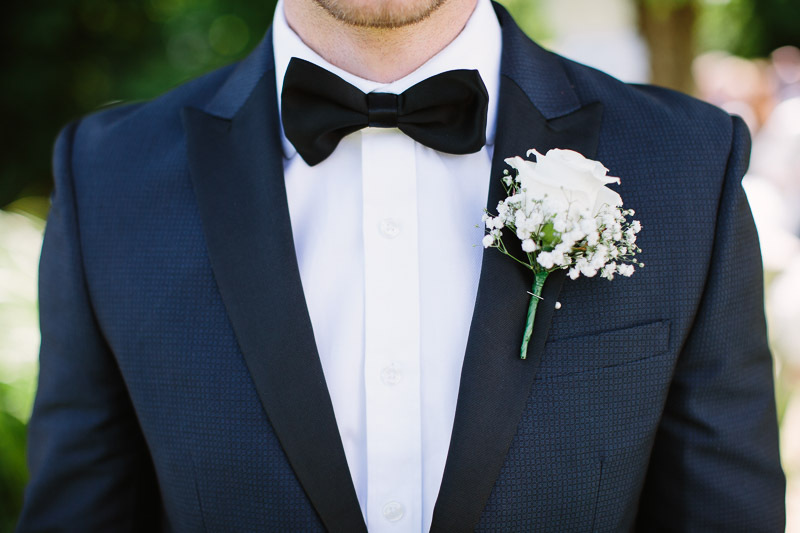 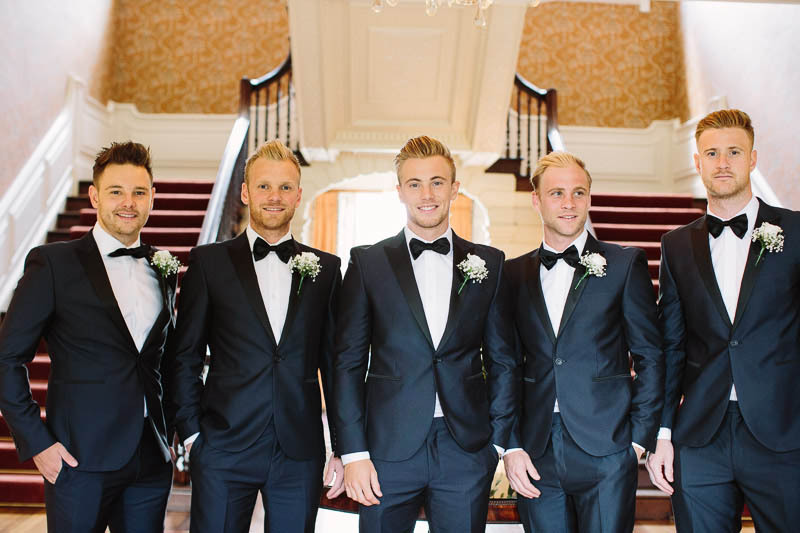 The men’s buttonholes were akito roses with a collar of gypsophila at the base. 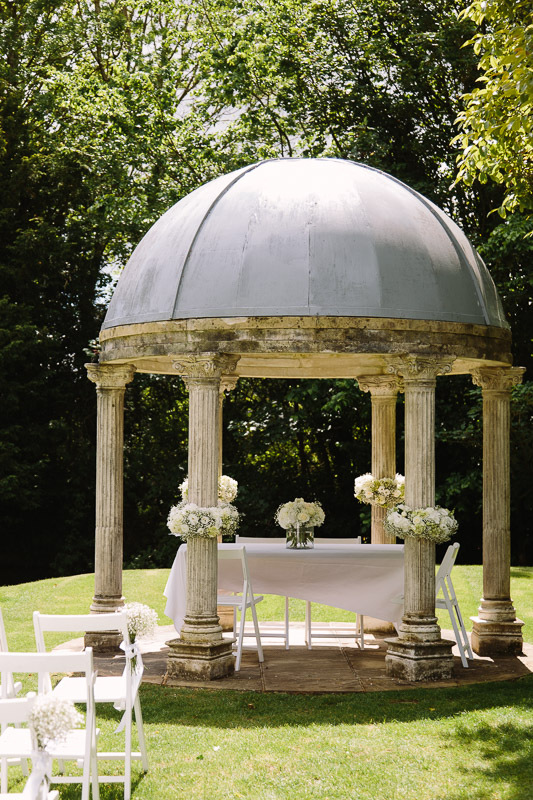 The venue has a stunning stone temple set on a small island which makes the perfect setting for an outdoor ceremony. 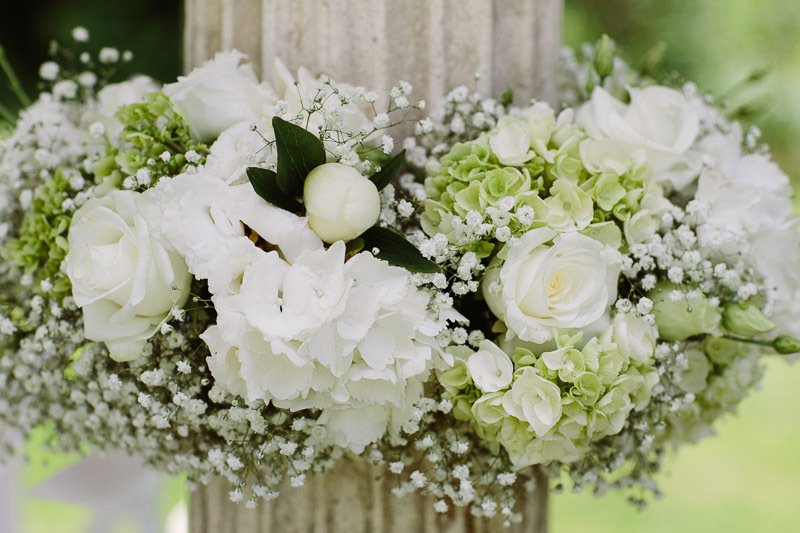 We decorated it with garlands at waist height and clusters of gypsophila on the pew end chairs. 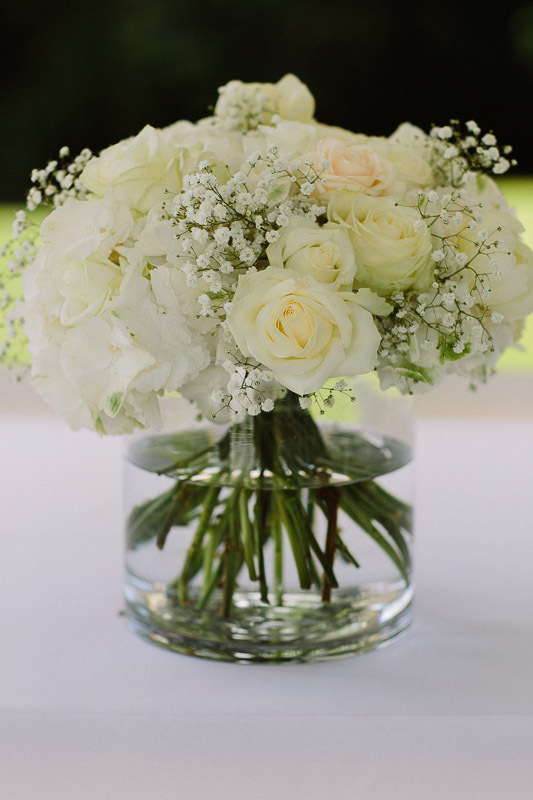 We placed a large vase arrangement on the registrar’s table and the bridesmaids added rose petals to the aisle as a finishing touch. 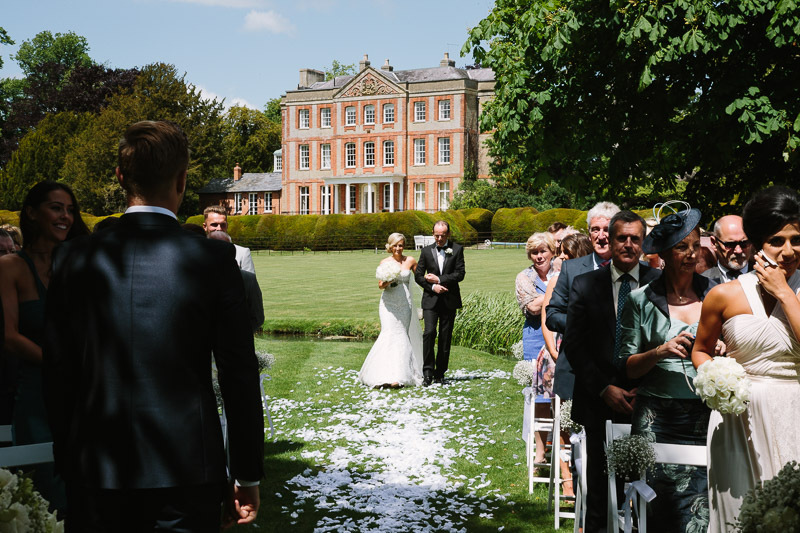 Ardington House made a stunning backdrop for the ceremony as Amy walked from the house to the temple for the ceremony. 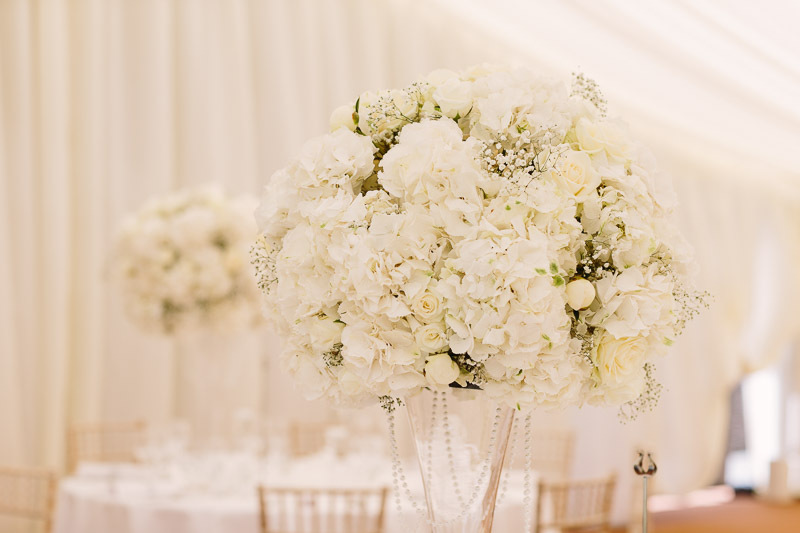 Following the ceremony, the reception took place in a bright and airy marquee in the grounds of the venue. 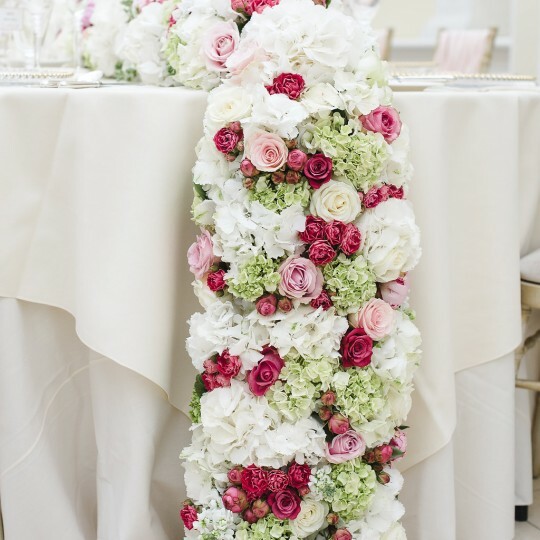 Amy chose tall flute vases topped with large arrangements of hydrangea, roses and gypsophila for the guest tables and large low round vases for the top table. 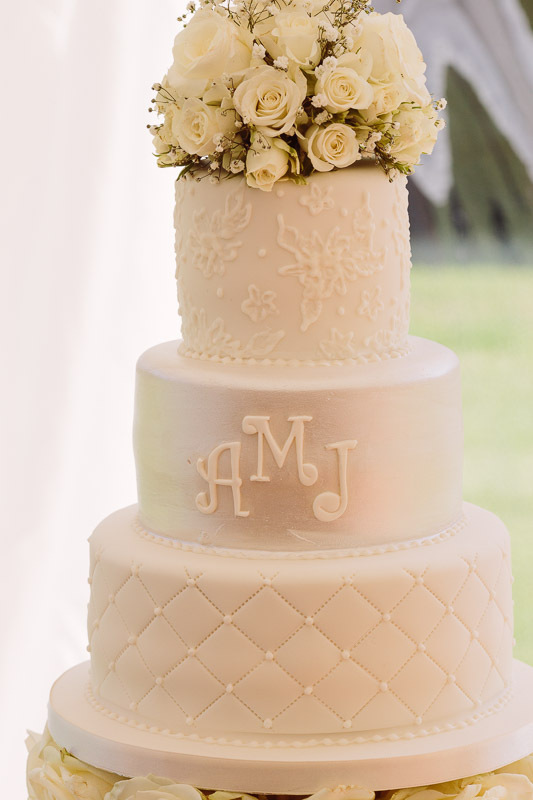 Amy and Joseph chose a stunning cake with a monogram decoration. 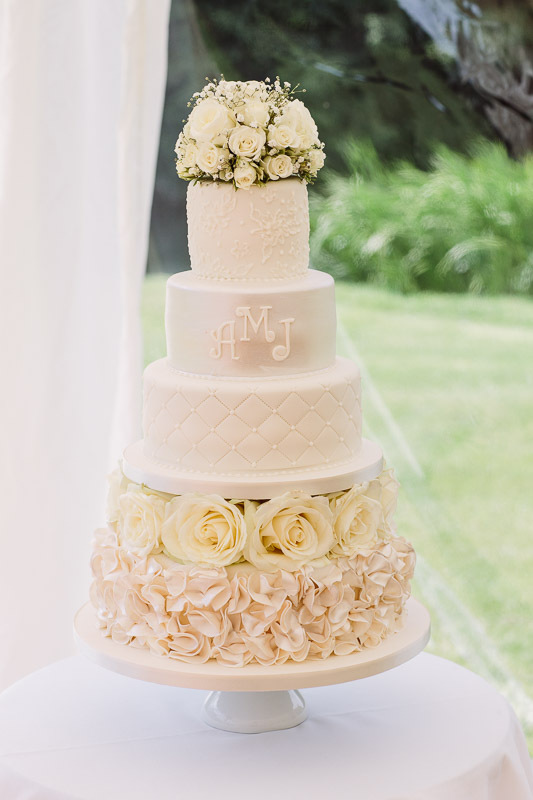 We added a simple dome of roses and gypsophila to the top and filled the gap between the tiers with ivory roses. 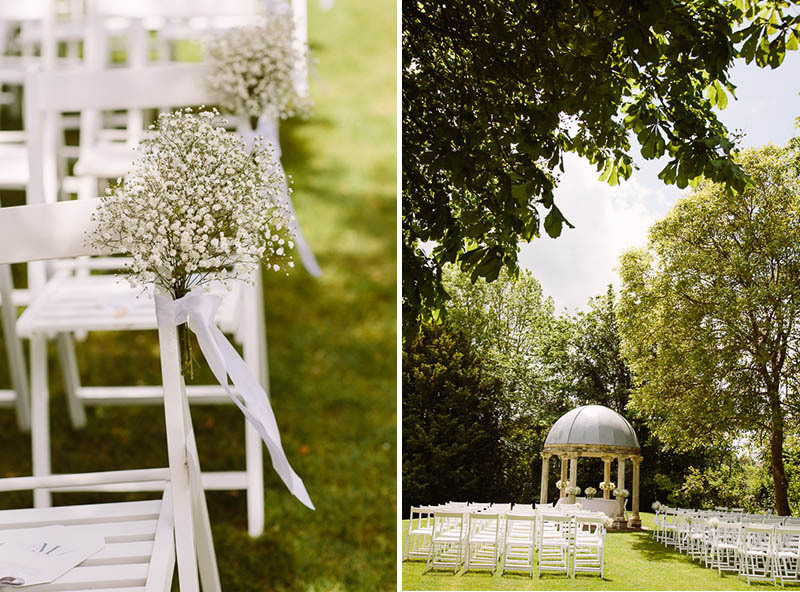 This was a gorgeous wedding for a really lovely couple in one of our favourite venues.